We appealled to the editor of “The Cipher Brief” with the requirement to publish a refutation of the article. “For 5 years already, Ukraine has been defending its own lands from the Russian military aggression. The volunteer movement performs a crucial role in countering Russia’s aggression. “Azov” is one of the units which was formed from volunteers. 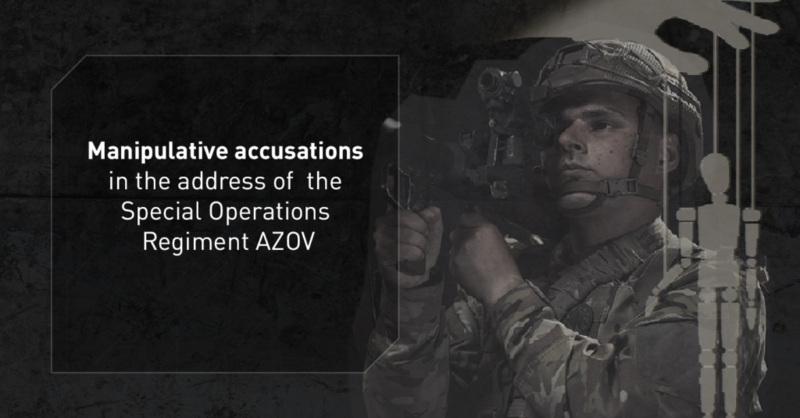 The Special Operations Regiment “Azov” performs only those functions that are assigned to it as a regular unit of the National Guard of Ukraine.